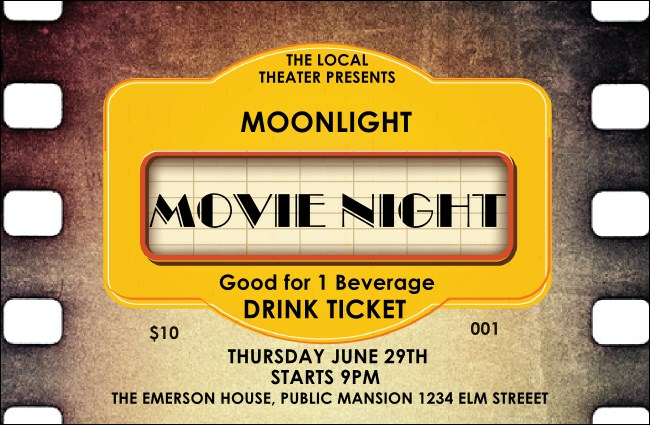 Help your guests to something to go with their popcorn and distribute the Movie Strip Drink Ticket at your cinematic gathering. This design resembles film, with a marquee right in the middle. Give these tickets to guests and help keep the concessions organized!